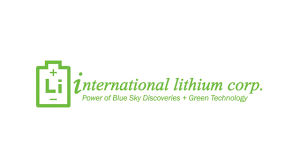 International Lithium Corp. (TSX-V: ILC) reports analytical results for the 2018 drill program at the Avalonia lithium pegmatite project in Ireland. The results were received from the Company’s joint venture partner, GFL International Co. Ltd., a subsidiary of Jiangxi Ganfeng Lithium Co. Ltd. GFL is the Operator of the project (see the Company’s news release dated May 14, 2018 for further details). Afzaal Pirzada, P. Geo., a Qualified Person as defined by National Instrument 43-101 – Standards of Disclosure for Mineral Projects and a consultant to the Company, has reviewed and approved the technical content in this news release. The ownership of the Mavis Lake project is now 51% Pioneer Resources Limited (ASX:PIO) and 49% ILC. In addition, ILC owns a 1.5% NSR on Mavis Lake. Pioneer has an option to earn an additional 29% by sole-funding a further CAD $8.5 million expenditures of exploration activities, at which time the ownership will be 80% Pioneer and 20% ILC.